Tony Leon was born in Follansbee, February 18, 1917. He graduated from Follansbee High School in 1934. During the July 2005 Follansbee Community Days, the deceased Tone Leon was honored. His brother, Jay of Wellsburg, spoke on his behalf. Jay said “Tony had worked for Weirton Steel after finishing high school, when Russ Craft of Wellsburg encouraged him to try out with him for the University of Alabama football team.” Joe Chorba of Follansbee was also on the same Crimson Tide squad. 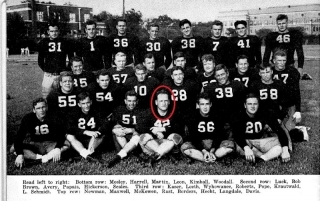 After playing football at the University of Alabama, Leon was drafted in the eighth round of the 1943 NFL Draft. 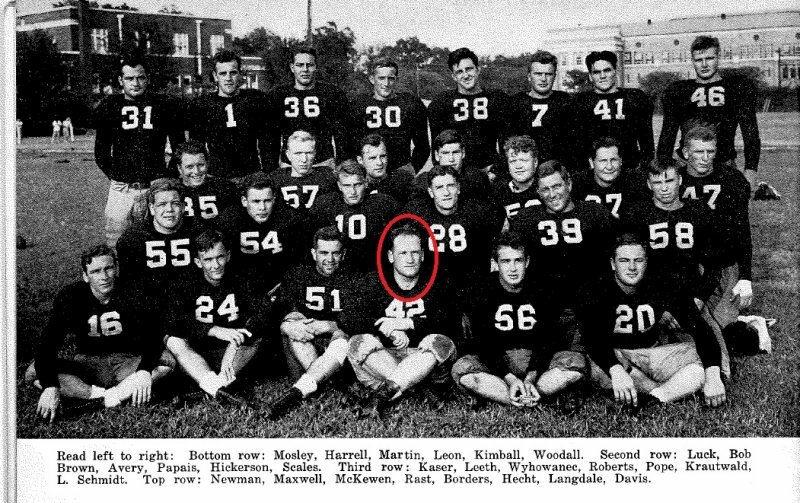 He was a professional offensive lineman in the National Football League for the Washington Redskins (1943), Brooklyn Tigers (1944), and the Boston Yanks (1945-46). He died in July 19, 2002. “Jay recalled that while playing for the Redskins, Tony earned a salary of $6,500 per year, about the cost of a house in those days and respectable at a time before television and mass merchandising, when NFL’s revenue was limited to the admission charged of the games’ patrons”.Following his football career, Leon owned and operated the Corner Cigar Store in Weirton and served two terms as Hancock County assessor. The father of two and grandfather of two, he died in 1995 in Las Vegas, where he had moved to be close to one of his sons. Steubenville Herald Star, “Follansbee Natives Recognized,” July 11, 2004.